Eighty-five percent of the Chesapeake Bay's shoreline is privately owned, and often lined to protect the land from erosion. Eighty-five percent of the Chesapeake Bay’s shoreline is privately owned, and often lined with hardened bulkhead or riprap to protect the land from erosion and sea level rise. But scientists throughout the Bay region are giving waterfront property owners an alternative option to shoreline hardening that protects properties while also preserving habitat and clean water in the Bay. Hardened edges along the Bay and its rivers reduces natural shoreline habitat that fish and other marine animals depend on for food and shelter. To counter this trend, shoreline restoration efforts have moved towards the use of “living shorelines,” which use natural habitat elements like marsh grasses and oyster reefs instead of hardened structures to stabilize and protect shorelines. Popularity of the term “living shorelines” and its technique has now spread to coasts and estuaries throughout the country. Living shorelines have been installed for more than 20 years in the Chesapeake region because they provide habitat and protect clean water. Today, research continues into how quickly living shorelines assume the “natural” ecological functions of marshes. 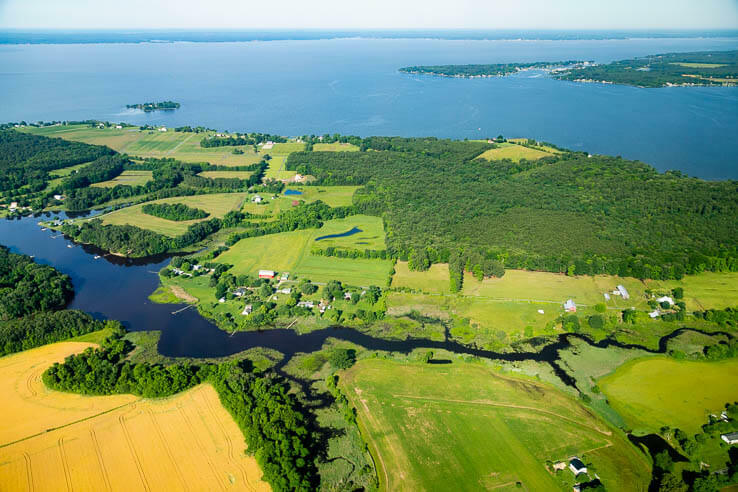 In 2006, scientists with the Chesapeake Bay Trust and NOAA Restoration Center began a study on the Severn, South and West/Rhode rivers near Annapolis, Maryland, and the Miles River on Maryland's Eastern Shore, to assess the ecological impacts of installing living shorelines. 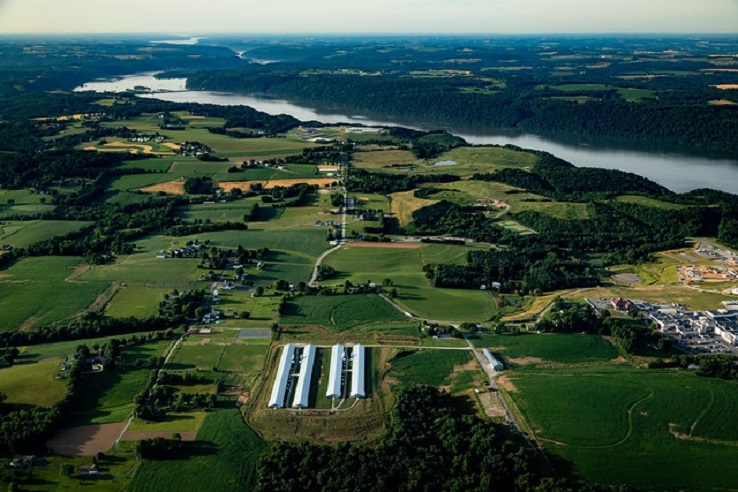 "One of the reasons we conducted this study was to help determine how using living shorelines, instead of armor, would impact fish, crabs, and other wildlife in these tributaries and the Bay," said Dr. Jana Davis, chief scientist with the Chesapeake Bay Trust. "We think there is going to be a positive impact, both when living shorelines are used in new shoreline protection and in replacement of existing armor with greener techniques." In one part of the study, scientists sampled fish, crabs and shrimp, as well as sediment grain sizes and water depths, at two sites on College Creek: a bulkhead slated to be turned into a living shoreline, and a natural marsh located nearby. At the bulkhead, 14 different species were collected, while at the marsh, 18 species were collected. Not only were there more types of different species at the marsh, but they were present in larger numbers. In particular, spot, mummichogs and grass shrimp populations were much higher at the marsh. Two months after the sampled bulkhead was removed and a living shoreline was installed, scientists found that densities of mummichogs and grass shrimp, as well as pumpkinseeds, had increased at the living shoreline site. 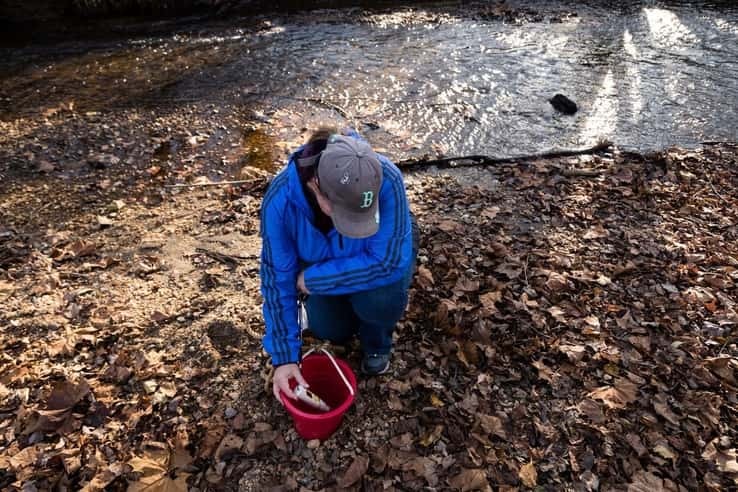 “The results of the College Creek study showed that certain species are able to respond almost immediately to the installation of living shorelines,” Davis said. Results of another part of this study, which compared five different habitat types at two locations in the Rhode River, suggested that living shoreline designs should include multiple habitat elements to maximize the number of different species that can use the area. For instance, oyster reefs served as the greatest refuge for molting blue crabs, while vegetation was used as a nursery area more than the other habitat structures monitored. These and other studies on living shorelines were presented at the December 2006 Living Shoreline Summit, which brought 10 organizations together for two days to discuss what is known and what still needs to be learned about living shoreline science, management and policy in the Chesapeake region. Participants at the Living Shoreline Summit developed nine major recommendations for living shoreline research, management tools, planning and policy. These include using social marketing concepts to promote living shorelines; identifying financial incentive opportunities for property owners; and encouraging governments to install living shorelines on their lands. For more about living shorelines and the findings of the Living Shoreline Summit, visit the Chesapeake Bay Trust’s website. If you’re at the National Conference on Coastal and Estuarine Habitat Restoration in Providence, you can see the presentation “Next Steps in Living Shoreline Restoration: Taking Lessons from North Carolina, Virginia, Maryland and Florida to the National Level” on Monday, Oct. 14 at 1:30 a.m. in room 553, and the presentation “Moving Living Shoreline Policy Forward: A Panel and Audience Discussion” the same day at 3:30 p.m. in room 553.